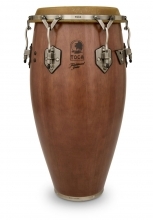 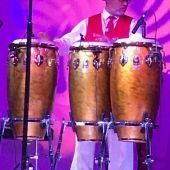 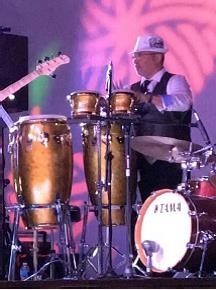 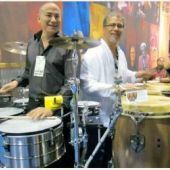 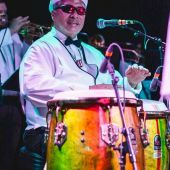 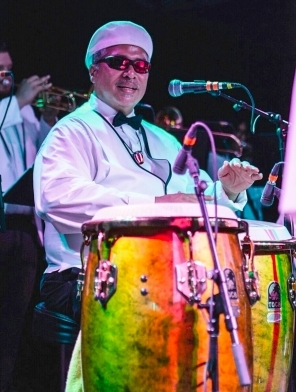 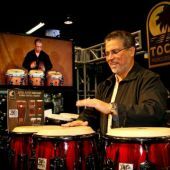 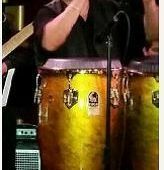 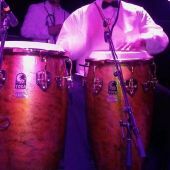 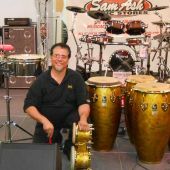 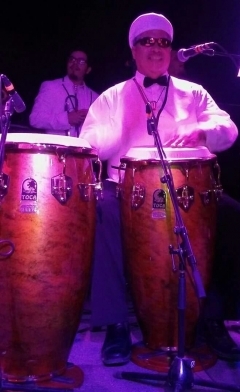 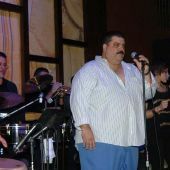 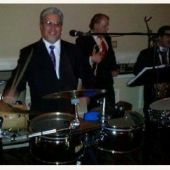 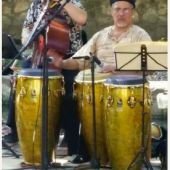 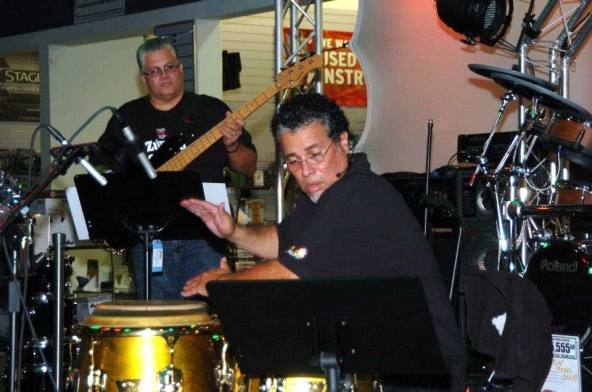 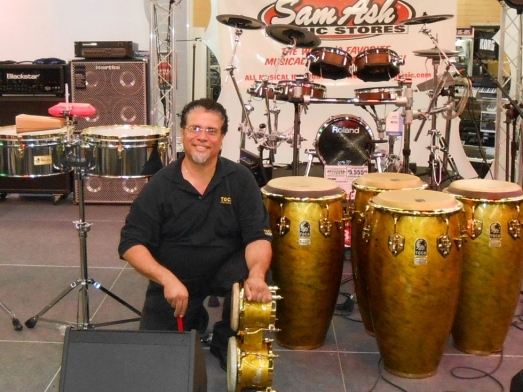 Born in New York City in 1960 and raised in Guayanilla, Puerto Rico, Georgie Padilla has been a professional percussionist, arranger, vocalist and music teacher for more than 40 years. 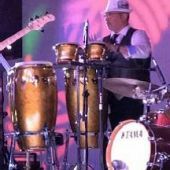 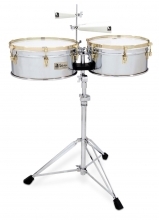 He began playing at the age of twelve and was one of the first leaders as well as tutors for Guayanilla's School Band's percussion section. 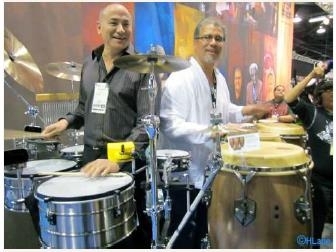 Shortly after, he played with Nelson Feliciano and KitoVelez. 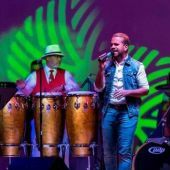 Padilla has a Bachelor's Degree in Music Education from the Interamericana University of Puerto Rico and a Master Degree in Music specialized in Latin Music Performing from Texas State University. 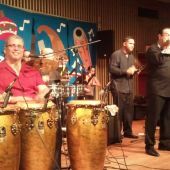 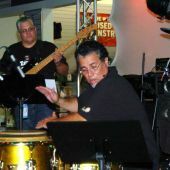 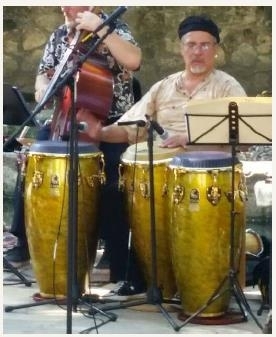 Georgie has performed and traveled worldwide with Elías Lopés and Company, Jesús Caunedo's Puertorrican Jazz, Los Saxofones de Mayaguez, Frankie Ruíz, Sonora Ponceña, Danny Rivera, Lucecita Benitez, Jose Nogueras, Bobby Valentin, Jerry Rivera, Richie Ray & Bobby Cruz and various international artists such as Soledad Bravo, Isabel Pantojas just to name a few. 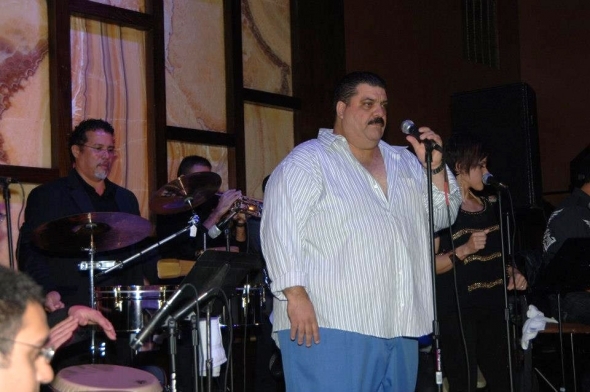 He also participated in Cheo Feliciano's live recordings and video productions at the Tropicana Club in Cuba. 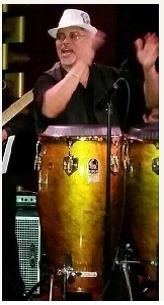 Padilla had recorded on many of Jerry Rivera's productions. 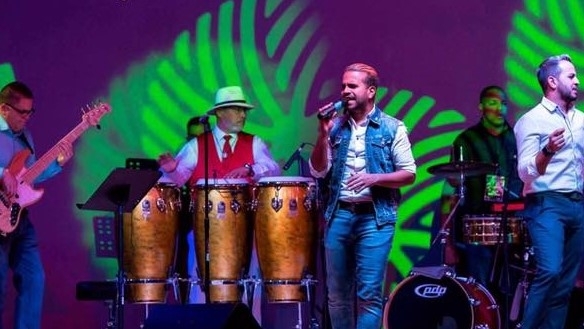 His latest recording for Jerry, “El Amor Existe” reached #3 on Billboards Tropical Music genre. 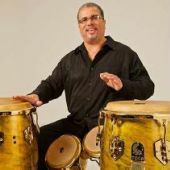 His impressive list of recording and arrangement credits also include, Guianko, Cheo Feliciano, Ricardo Visuete, Tito Gomez, Choco Orta, Jandy Feliz, Gilberto Santarosa, Pedro De Jesús, Hector Ivan Rivera and a host of other Latin Jazz luminaries. 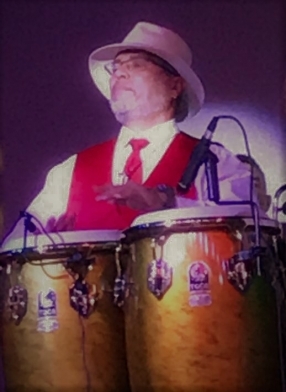 Recently, Georgie performed in Richard Oppenheim’s latest CD Greenhorn in a Red State. 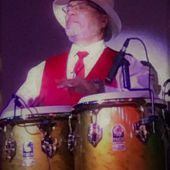 Padilla had worked as an adjunct faculty at Northwest Vista College, teacher assistant at Texas State University and percussion professor at Brookhaven College in Dallas. 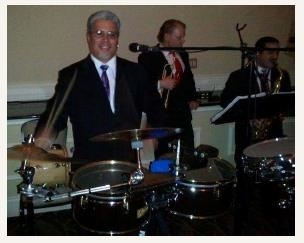 Now that he is back in San Antonio teaching at Northwest Vista College. 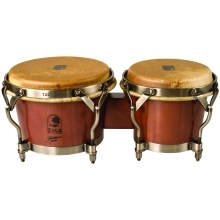 Georgie offers private lessons of Afro Caribbean rhythms. 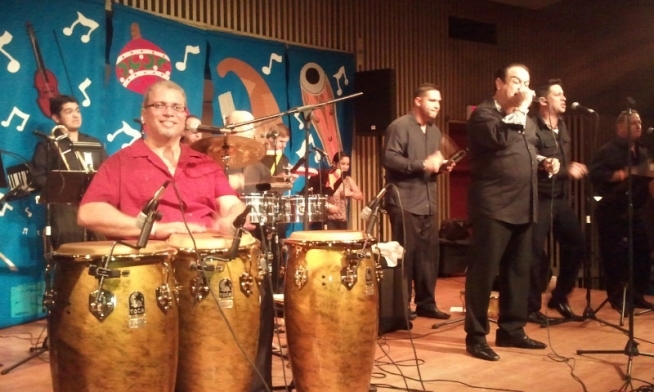 Also, he gives support to young local groups with arrangements and improving their performances. 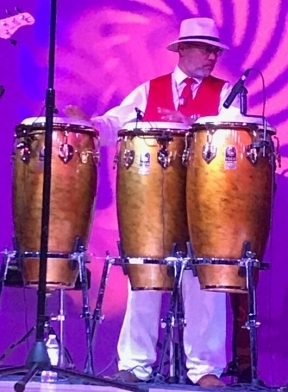 In the meantime, Georgie is the arranger and co-producer for Hector Ivan Rivera’s recordings in Puerto Rico, performs with his jazz group “Georgie Padilla & Friends” and conducts The BISA Orchestra (Boricuas in San Antonio) and Los Tres Del Tambor on special events.